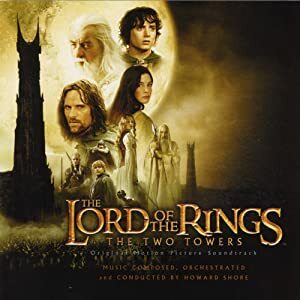 Howard Shore wrote a breathtaking score that ignites the imagination in the honor of the story that has inspired countless fantasy writers and gamers. I find the soundtrack not best for gaming background music due to the dynamism within individual tracks. That’s not to say that there aren’t any good gaming tracks, just that I feel that they are the exception to the rule for the most part. One moment you are visting hobbiton and the next you are in the land of the militaristic orcs. Or when a theme is kept there are just too many ups and downs. Very hard to manage. I HIGHLY RECOMMEND it despite this because it is great to listen to while working on upcoming adventures and new worlds. The only tracks that I can say have a level of consistancy to them that makes them easier to use are: “Treebeard” and “The Forbidden Pool”. Unfortunately theres just too many epic sweeping overtures and sudden resolutions on this album to get much use from it as it. However you might consider finding a free audio slicer program to cut the tracks into useable parts. Seems too much work for me though. The soundtracks to The Lord of the Rings Trilogy are fantastically well done. However, they very much follow the ups and downs of the movie, and as such, most tracks have more than one underlying theme, making them very hard to fit into the score for your table-top game. The tracks that do fit, however, are very good.